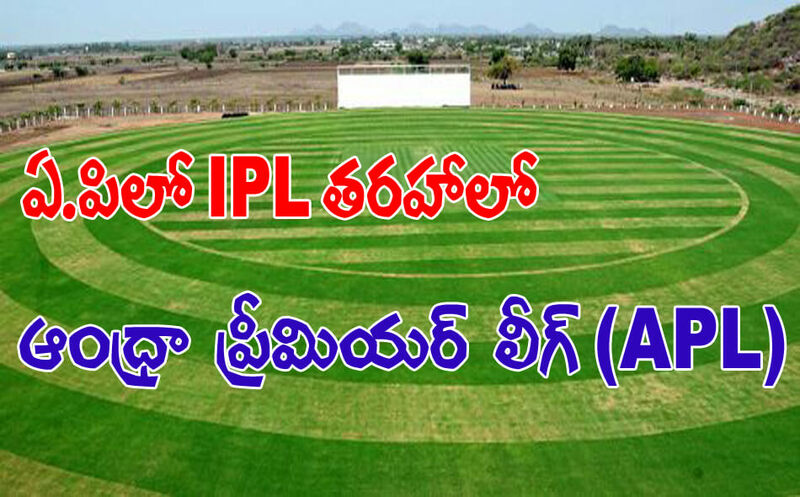 Andhra Cricket Association (ACA) is thinking of to launch APL-Andhra Premier League, on the lines of Indian Premier League. The same formula has been succeed in Tamil Nadu, Tamil Nadu Premier League (TNPL) launched by the Tamil Nadu Cricket Association. This way ACA is thinking that the game would be spread in Rural Areas and the stadiums near by would be developed. Board of Control for Cricket in India (BCCI) giving its nod to the affiliated State associations. ACA is thinking of to take the help of local companies, educational institutions, real estate outfits and shopping malls to generate sponsorship. Also it is planning to rope in the local cultural troupes, musicians and dancers to add the glamour.